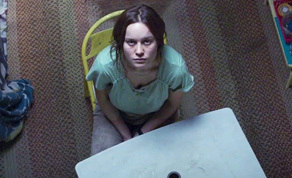 Irish film ‘Room’ continues its awards season success with three Independent Spirit Award nominations in the categories of Best First Screenplay (Emma Donoghue), Best Female Lead (Brie Larson) and Best Editing (Nathan Nugent). The ceremony will be held on February 26th, 2016, two days before the Academy Awards ceremony - with the Independent Spirit Awards nominations consistently seen as giving films a significant boost on the road to the Oscars. ‘Room’ has received a very positive critical response since premiering to a standing ovation at the Telluride Film Festival in September, and the film has so far won Audience Awards at festivals in Vancouver and the Hamptons, as well as the People’s Choice Award at Toronto. ‘Room’ is produced by Element Pictures and No Trace Camping with funding from the Irish Film Board and is told through the eyes of a five year old who is held captive in a room along with his mother. The film stars Brie Larson, William H. Macy and Jacob Tremblay.